Resonance has intruiged me since I learned about the concept in high school. For those unfamiliar, it’s “the tendency of a system to oscillate at maximum amplitude at a certain frequency.” Or, to put it another way, it’s the frequency at which something vibrates the most. I remember one day being at 7-11 getting a Super Big Gulp. I was holding my cup while my buddy was filling his (also a Super Big Gulp) with ice. As the ice fell into his cup a couple of feet away, I could feel my cup vibrating as if it were filling with ice as well. I tried it with a different sized cup and it wasn’t nearly as pronounced. I had just recently learned about resonance, and I was quite impressed. Anyway, it strikes me that resonance is a lot like understanding. I imagine we’re being exposed to information and knowledge (potential understanding) on a constant basis. The various things we’re exposed to as we move through life are essentially frequencies of experience and knowledge. The real question is whether or not you resonate at those frequencies. This is especially true when it comes to experiencing things that are alien to you, such as different foods, different customs, and different types of music. Think of gangster rap vs. Motzart. These are very different frequencies indeed. And you’ll usually find that those who can tune to one frequency and be affected by it, are not able to really feel the other. I think cultures determine what frequencies we oscilate at, and that most are bad at nurturing people who are able to oscilate at many. Most people are like the walkie-talkies from 20 years ago. They had a single crystal in them that did maybe 1 to 3 channels. There were THOUSANDS of other radio signals flying by those radios — so much conversation to be heard — but those old systems could only hear three little channels. And that’s how most of us are. 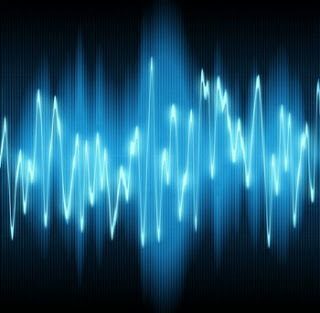 I think we should try and “understand” as many frequencies as possible. Spicy food. Ice cream. Yoga. Isolationism. Compassion. 50 Cent. Cheese. Faith. Environmentalism. Salsa dancing. Hunting. Martial arts. Mars Volta. Cooking. Hopelessness.